I'm not going to lie, it took me a long time to become a "fan" of plain Greek yogurt. Like most people I grew up eating the flavored or fruit on bottom kind of yogurt. Of course I loved it; who wouldn't with all that added sugar....but I digress. These days I'm eating yogurt just about every morning; but I've switched to plain all natural Greek yogurt. It's an acquired taste for sure, that can easily be sweetened up by adding fresh fruit or some homemade granola. 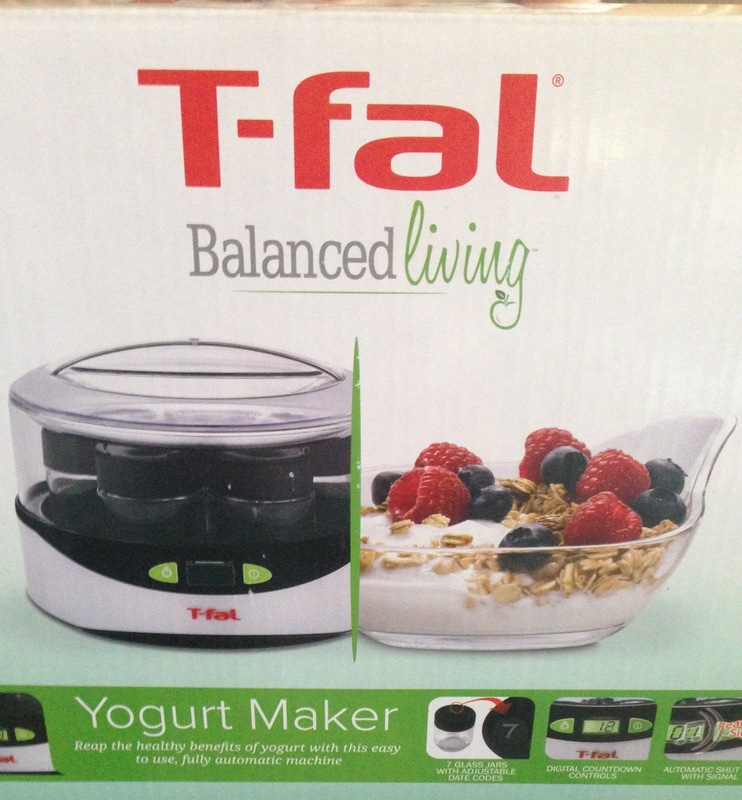 Recently I've been wanting to take my yogurt experience to the next level by making my own. 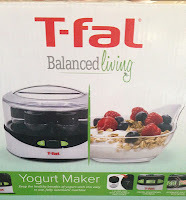 So when I was offered a T-fal Balanced Living yogurt maker to review, I jumped on it. The process is really simple but there is a waiting period of over 8 hours. So planning is everything when it comes to making yogurt. Like the saying goes: "good things come to those who wait" and homemade yogurt is a "good thing"
It took a few times but I think I've finally gotten it to the consistency and taste that I want. Using the Natren brand Probiotic Yogurt Starter and 2% organic milk is what works best for me. If your into yogurt at all or just curious about how it's made; I would definitely recommend making your own. It's so easy; I don't know why you wouldn't try it. 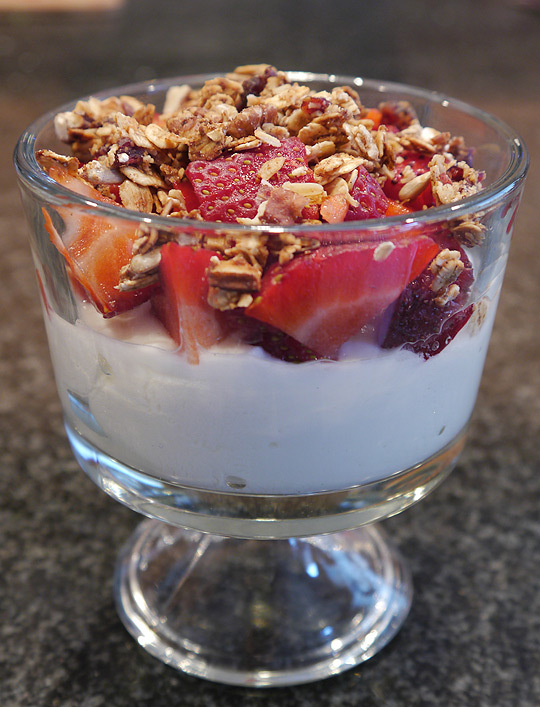 Top fresh yogurt with chopped fruit and granola....dig in.